Small. Cramped. Cluttered. These are synonyms of urban living. In this concrete jungle, turning small spaces into cosy homes can be a challenge. But with a bit of creativity and resourcefulness, you can make sure that you’re getting the best out of your new home. 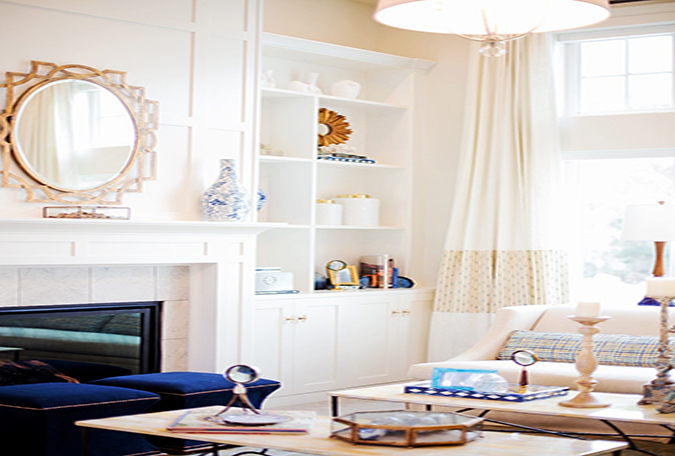 Here are a few tips to transform those claustrophobic spaces into roomy and welcoming homes. It’s a well-known fact that dark colours are slimming but try to avoid further slimming down by choosing lighter colours like white, cream, pale greys or blues to give a light and spacious feel to the room. mirrors are also the best way to reflect light and in turn make the room feel larger. Place them strategically behind an end table and make people believe that there is a whole other world tucked behind. The most important and beneficial tip if you live in a small space. Get rid of everything you haven’t used in a year because the chances are you would not need them at all. This will free up more space for things you need/use. The movie may have been great, but furniture that transforms is even better. Nowadays you have plenty of options that include multipurpose furniture to choose from. For example, an ottoman which can be used as a seater as well as storage unit. Or maybe furniture that can be wheeled away, folded or stacked when not in use, to give you that extra space. Make good use of hidden storage spaces. Spaces under the bed, inside the ottoman, lofts, behind the mirrors, or wherever you can think of! This will give you added storage space and keep the clutter out of sight. Avoid the mistake of pushing up your furniture up against the wall. This will give the room a cramped look. Leaving a few inches can make the space look more open. Giving your furniture some breathing space by placing your bed at an angle or floating the living room sofa which will give an appearance of more space. Avoid hiding the sofa’s or bed’s legs when you work with smaller spaces. Choose furniture that is raised as it creates a sense of light and space. To create a sense of depth, avoid the dark and heavy drapes. Leave your windows uncovered. Along with bringing in fresh air, this trick also adds a sense of depth to your place. You can always try sheer white drapes to give your place privacy and also a bit of sophistication. Matching your flooring colours to the walls and furniture will widen your impressions of space. Most importantly, choosing lighter colours will give an airier feel. Lastly, creating the illusion of making your small space appear big, is an art. For example, to create the illusion of high ceilings, paint your ceiling with a bright colour that will pop, so that it will drive the eye upward. Or to make your room appear longer than it is, consider a stripped floor. To wrap up, when dealing with small spaces, always remember to get rid of unwanted items and edit your patterns and possessions. Use hidden spaces and always find ways to brighten up your home. At the end of it, half the battle can be won just by thinking outside the box.